If your website looks pretty but doesn’t bring you leads or convert customers, you are missing out. We’ll help turn your website into your most valuable asset! All too often, we see clients with pretty websites that just don’t deliver any value to them. A web developer cannot just throw up a pretty site and expect that it will help achieve any of these goals. There are a lot of web developers out there that can build you a pretty site. Well there are some. There are a lot of web developers out there that can build you a site. But that’s not who we are. 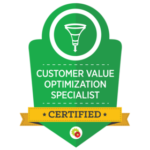 Our legacy of enabling sales automation, customer relationship management and general business operations for clients (since 2001) gives us a much different outlook than your standard web developer. We come to web development with the need to develop a site that takes your prospects from initial interest all the way through brand advocacy! We build sites for clients that achieve ALL of these objectives. Don’t waste your time and money on a site that won’t have a transformational impact on your business! In order for a website to deliver significant, ongoing value, it needs to be designed in mind with the conversion of the client’s offerings and needs of their ideal clients. We dig deep into our clients business to help determine what those are and build sites that speak directly to client pains. Websites must be conversion oriented. At this point, having a nice looking site that doesn’t help achieve your business goals is a vanity project. Websites must be designed with client ideal clients in mind and with the goals of client conversion. 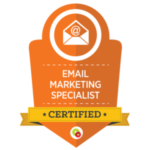 As a DigitalMarketer Certified Partner, we the cutting edge, proven methodology, tools and techniques that have been tested and vetted by 1,000s of companies, including DigitalMarketer’s 40 own brands. Websites must be client updatable. Once websites are designed correctly, content needs to be published to attract and convert visitors. 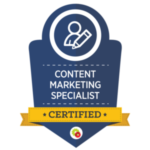 We do it in a way to enable customers to easily publish content into context specific, high converting funnels. Too often, websites are still designed against best practices and prevent customers from making updates themselves. When clients want to update their home page, they should be able to do that without the need for a developer. Clients should be able to publish content ongoing in a way that will speak to their clients’ problems and work with any current or future funnels. 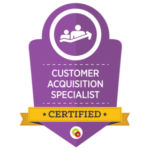 PurpleCRM sites include video tutorials that enable clients to train and refresh their knowledge on an as-needed basis. Websites should be built on best-in-class platforms that are meant to seamlessly integrate with each other to allow client conversion and content consumption (we build on WordPress btw). Websites should be built to seamlessly allow additional functionality as business needs grow. Not every business is ready to jump into all of the functionality they desire in their roadmap. In fact, we don’t often recommend it. That said, businesses should not waste their money on a solution that will not grow with them as their business needs do. When a client builds a website, it should not be built on any platform or technology that could inhibit future growth or feature inclusion. PLEASE don’t build on some boutique CMS that your designer thinks is cool. You want to do business. You want to get things done. Don’t outsmart yourself here. Websites must be mobile responsive. At this point, it is no longer a nice to have. Google and other search engines are increasingly penalizing sites that do not display well and function over the range of devices today. Websites must be future proof. Websites should honor the concept of theme portability. As all websites need updates from time to time, functionality should not be hard coded or buried in the theme. When clients decide to switch themes, their content should not disappear. Websites should be built on platforms that clients have ultimate control over otherwise they risk the loss of investment due to platform acquisition, shut down or pivot. Websites must be secure and reliable and dependable. Websites should not be deployed on substandard hosting subject to outages or security penetrations. Websites should not be built on unvetted themes that contain poorly constructed code, cause performance or ranking issues or even contain malware. Websites should not be deployed without a reliable automated backup solution that has been configured in a way to provide fast, complete restoration. We install automated solutions that back data up to Amazon S3 for maximum reliability. Websites should not be deployed without security features available today to help prevent intrusion and corruption of data by bots, viruses or other malware. Websites extensions should be with best-in-class products that will continue to function and be supported ongoing. We believe in the use of premium themes and plugins. Without a sustainable business model, it is common for themes and plugins to be abandoned, cease to function and facilitate security intrusions. The good thing is that all of our websites start with these features! We will understand your business and build your site to accomplish your goals with these factors in mind.